You must be very familiar with Baidu. Now many people are using Baidu products, such as Baidu post bar, Baidu knows,Baidu experience, Baidu encyclopedia and so on. 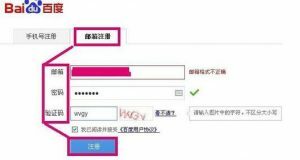 When using these products, you need to register a Baidu account.You can register Baidu account free.But many people don’t know how to register, and in the following experience, AI Digital will share with you how to register a Baidu account free. Click the registration button to enter the registration window and click the phone number on the left to register. Then enter the phone number, make sure that the cell phone number is not registered with the Baidu account. Then click to get the activation code, and then input the activation code received on the phone to the message activation code bar. 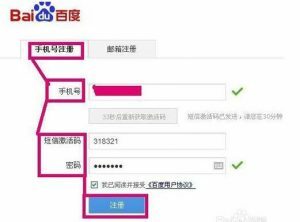 After clicking on the registration button, there will be a sign of a successful registration, so that the Baidu account is registered with a mobile phone number. After clicking on the registration system, the system will send a confirmation link to the mailbox, and then prompt the window to enter the mailbox button immediately on the top of the window. Click on the mailbox button immediately and enter the mailbox login page and enter in turn. When you log in to the mailbox, click the inbox on the left and enter the inbox. Click the account registration link to enter the registration verification page, and enter a cell phone number on the page. 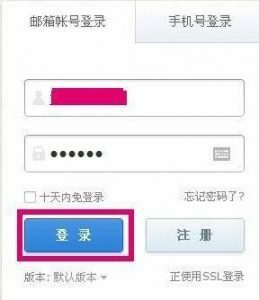 Then click to get the verification code button, then input the verification code from the phone to the verification bar, then click the submit button, so that you register the Baidu account free with the mailbox.